Heat oven to 450*. 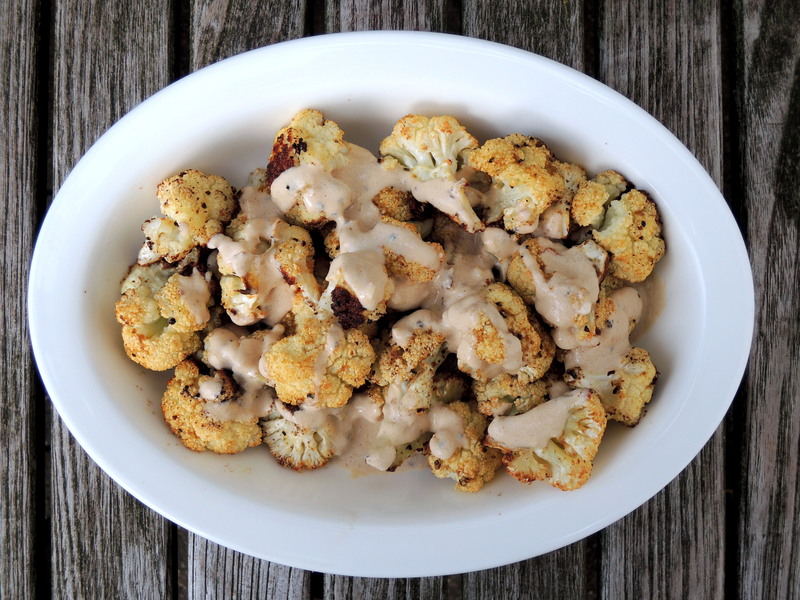 Toss together oil, cumin, cauliflower and salt and pepper in a large bowl. Transfer to two rimmed baking sheets and spread out evenly. Bake rotating pans from top to bottom and front to back, until cauliflower is browned and tender, 20 to 25 minutes. Meanwhile, make the tahini sauce according to the following recipe. 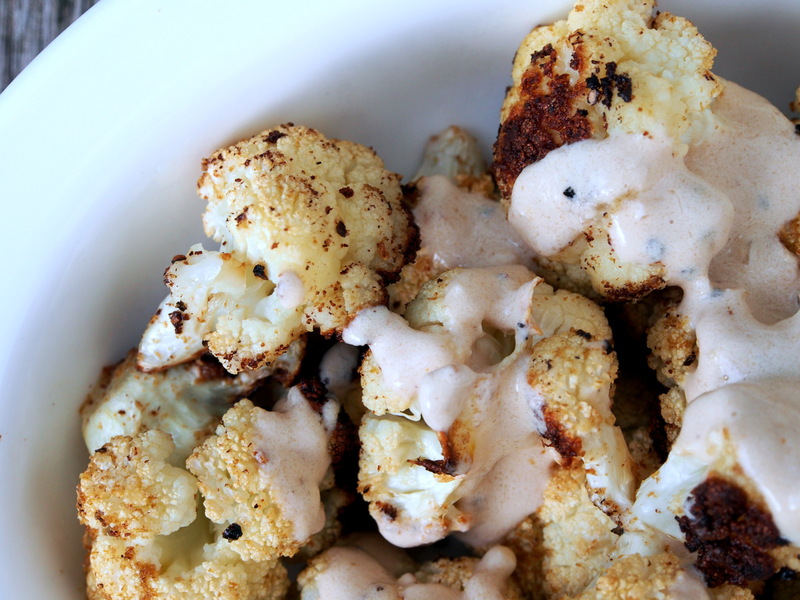 Serve cauliflower hot or at room temperature with tahini sauce.